Stir fry garlic, onions and mushrooms 1st. 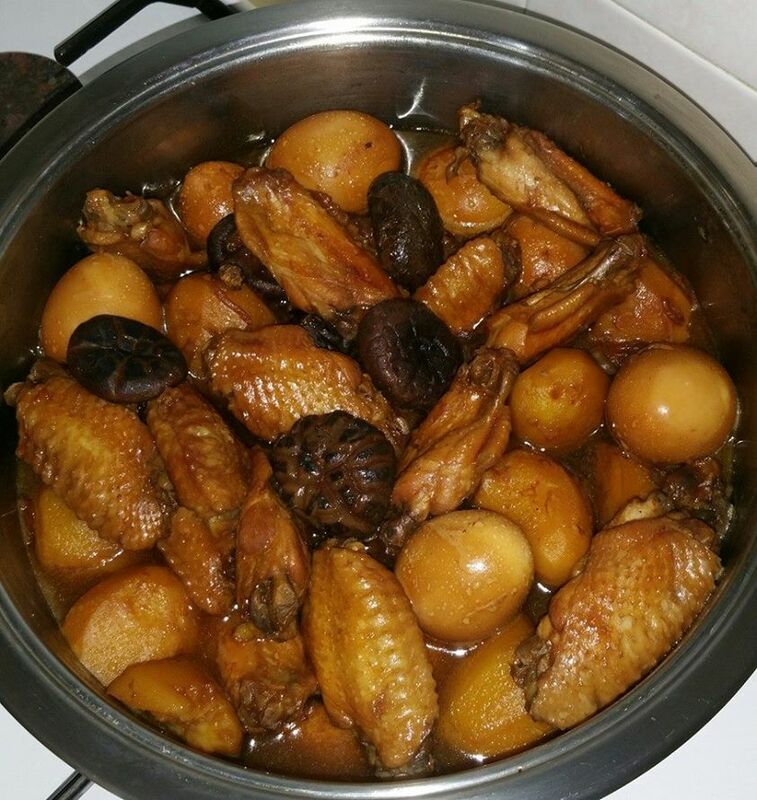 Put in the potatoes and wings and all the sesaoning. Simmer on high fire for 20 minutes and low fire for 20 minutes until the potatoes turn soft. Then add in the eggs last for another 10 minutes. I marinate the wings with 3 tbsp soya sauce and 2 tsp sesame oil for 1 hr 1st.